Neck pieces add a jazzy look to your attire and there might not be a requirement for a heavy neckpiece if you look neat and comfortable wearing a chain. 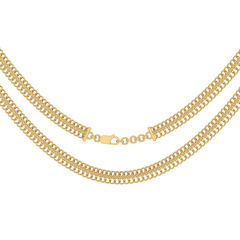 Be it a party or just a day in with a chain, you can keep it simple. 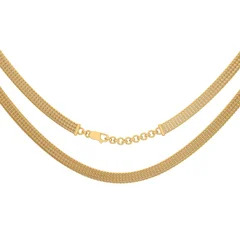 We at Papilior offer cosy and comfortable gold chains to decorate your neck. Any pendant that has been teamed up with the right chain will look stunning and look even more attractive. From simple to extraordinary, from regular to exceptional, we offer all knits and patterns of designer chains that are available in the market, but in affordable rates with an addition of exciting offers.